This was the first guitar I ever had, given to me by my parents in... '80? Late 70's early 80's. . . I've never found the maker. The guitar store owner told my dad it was a Hondo, but i don't think so. It's close to the Hoshina logo I found on this site. Any ideas? Plywood Les Paul copy. 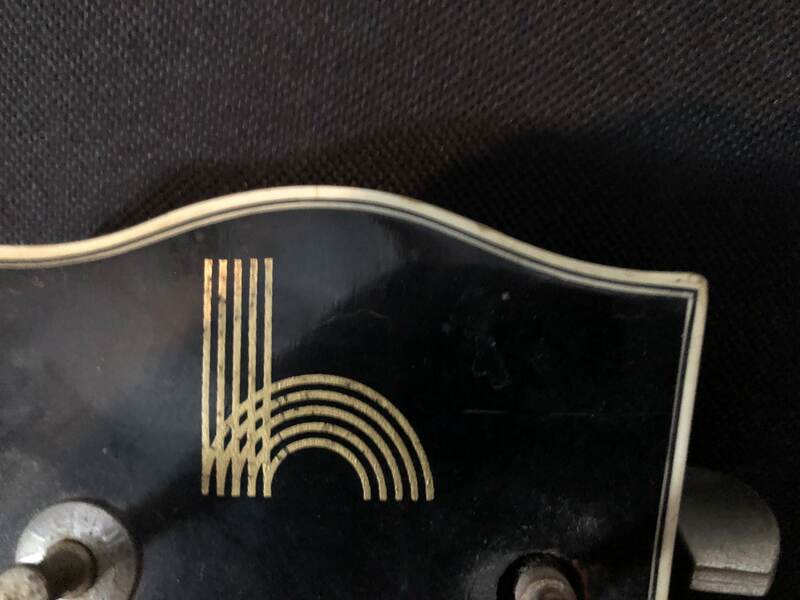 I feel that logo must be Hoshino - but I can't find any examples of Hoshino guitars distributed under their own brand name!